For those of you that remember Mary Ellen... She is our guest teacher for this class! Wrap yourself in memories with a quilt made from your own collection of T-shirts or make one as a gift for someone you love! Perfect way to preserve those favorite T-shirts that can no longer be worn or if you have a collection to honor. Makes a GREAT graduation gift and memory keeper. Mary Ellen used to live in the area and taught many classes for us, as well as being a Sales Associate. We are blessed that she is returning as a guest teacher. 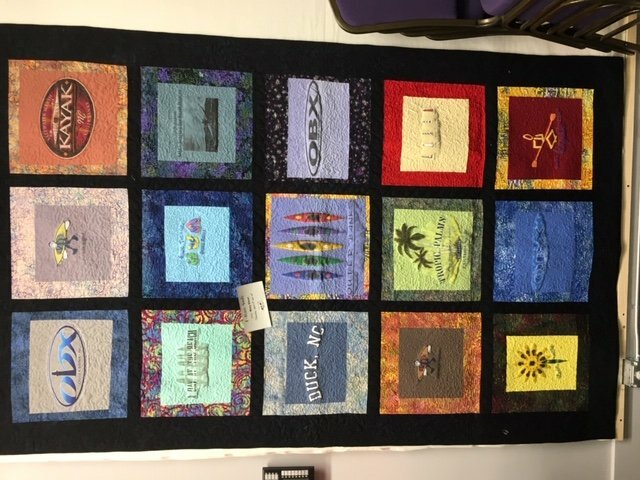 She has many years of experience quilting and teaching.